But seriously, at the core of YA lit is this perpetually unresolved tension between depicting all the gritty, nuanced realities of the world we actually live in, and depicting something better. This tension pops up in all storytelling, but YA, in my opinion, is driven by it. It is the fuel that powers the magic bus. Some books lean one way, some lean the other, but the best books do both. And they get away with it because teens, both in real life and as characters, embody hope and have the magical ability to transform themselves overnight. So the real question is, why aren’t YOU writing YA? What’s your favorite YA novel? Hands down, THE GOATS by Brock Cole. Every time I read it, I find more things to like. If you haven’t already, you need to read it. And don’t tell me its hilarious 80s fashion and lack of cell phones makes it outdated. It’s vintage, dammit. Other all-time faves include WEETZIE BAT by Francesca Lia Block, OCD LOVE STORY by Corey Ann Haydu, LUCY by Jamaica Kincaid, and WISE CHILD by Monica Furlong (though it would probably be considered MG these days). And though it’s not technically YA, THE MAGICIANS trilogy by Lev Grossman is a lovely story about growing up that I feel compelled to mention here. Will you write a sequel to THE ART OF ESCAPING? Why do you like giant squids? 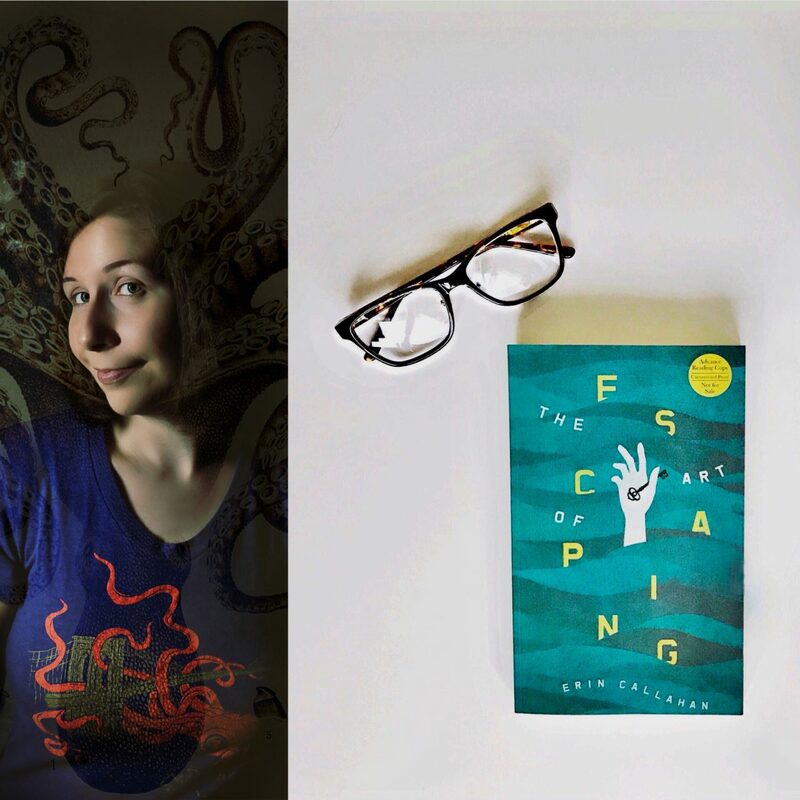 Will you ever write a book about a giant squid? I like mollusks in general, particularly cephalopods, and especially squids. They’re beautiful, terrifying, and completely absurd in equal measure, a balance that truly speaks to my personal aesthetic. I like birds and you don’t. What’s your problem with such beautiful and majestic creatures? I don’t dislike birds, I just think they’re creepy because they remind me of the dinosaurs from Jurassic Park. Especially big birds, like raptors and parrots. Blame Steven Spielberg. Do your books have swears in them? If I tweet or email you a question, will you answer it here? Maybe yes. Always worth a shot.